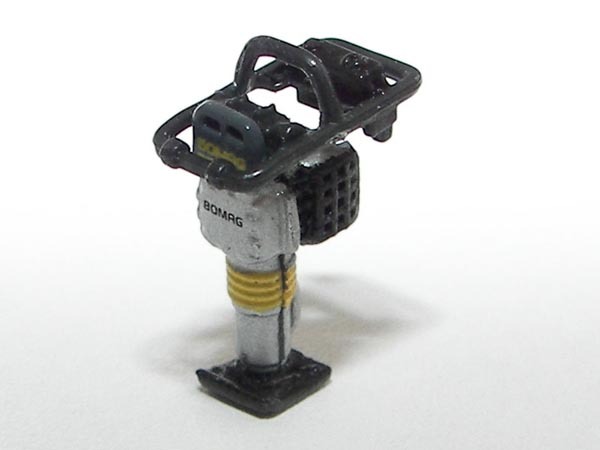 Kaster made this tiny 1/50 scale model of the Bomag BT65/4 tamper. 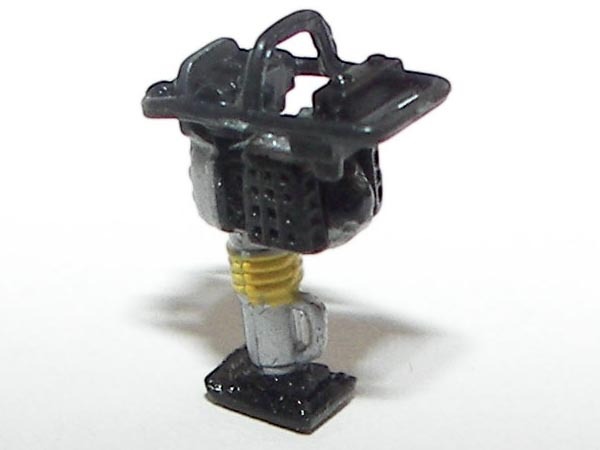 The miniature is less than one inch high, but nevertheless shows quite some detail. The tamper features the Bomag name on the engine cover, and the brand and type designation are also printed on a plate behind the handlebar. The model is nicely finished in the original equipment color scheme. The BT65/4 is a nice addition for use in a diorama or as load.